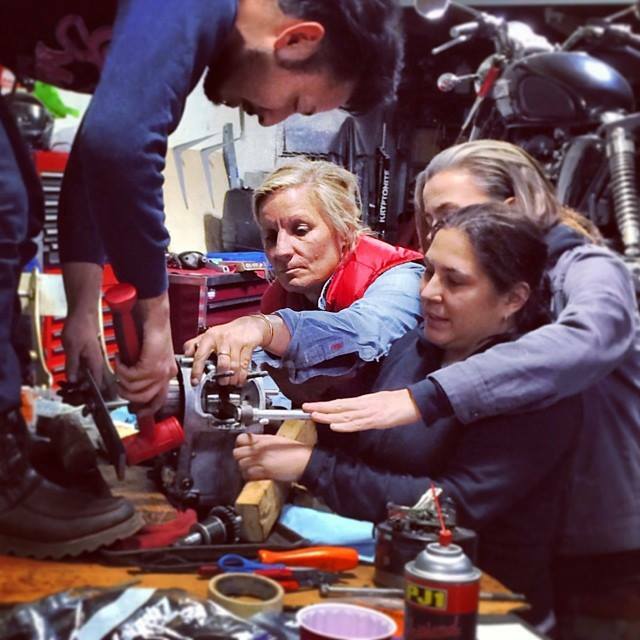 On any (winter) Sunday, you can find The Miss-Fires working away on Stephanie’s 1973 Honda CB350G complete rebuild project at Motor Preserve. 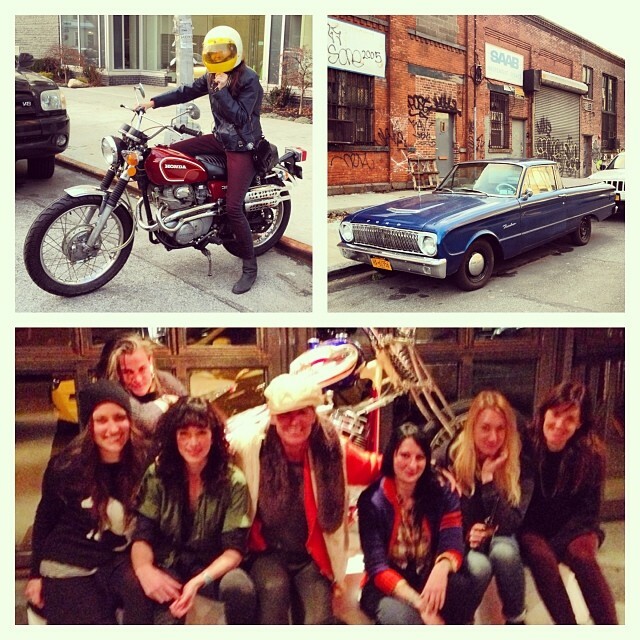 This bike came to her in boxes and we are determined to have her riding by her birthday this spring. 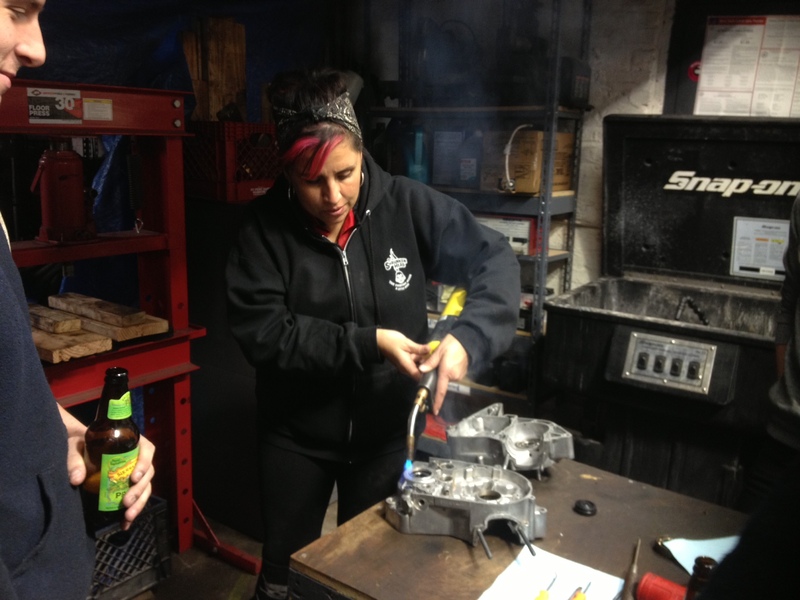 With the cylinder, cylinder head, and cam base installed we are ready to tackle the camshaft. 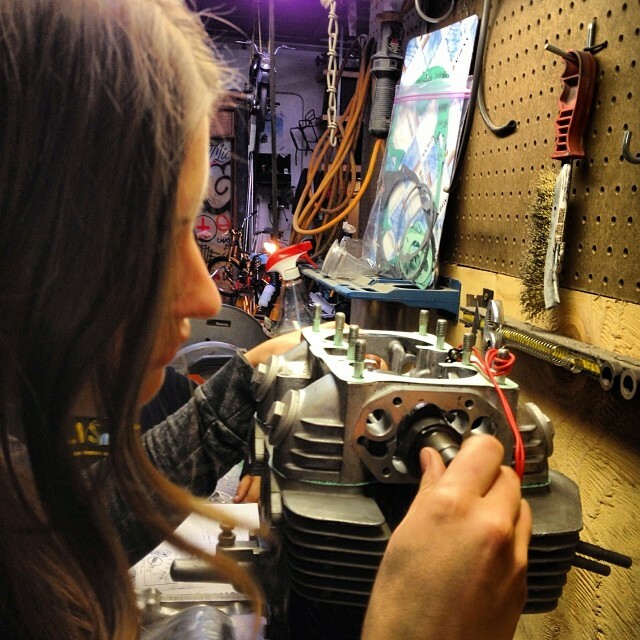 We installed the cam chain sprocket, camshaft, cam chain tensioner, rocker arms, rocker pins and set the alignment of the camshaft and sprocket with the alternator. 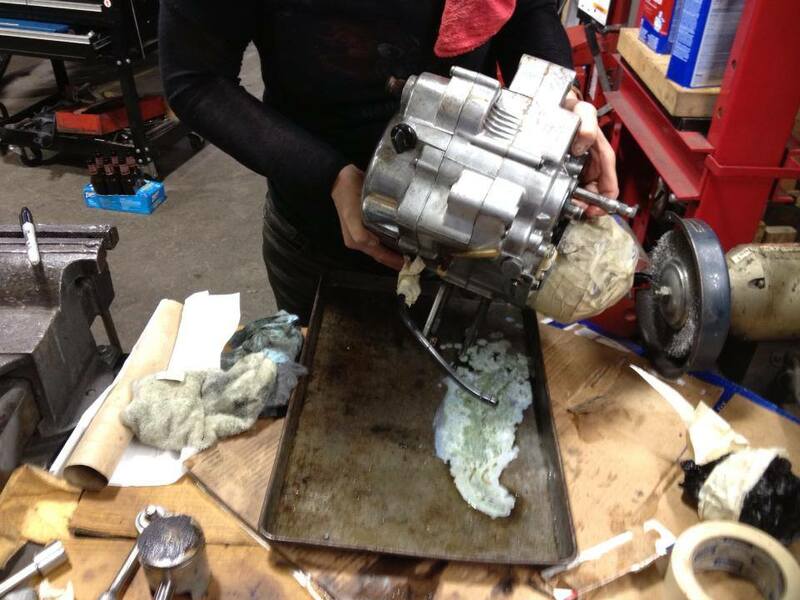 Oil pump and filter were cleaned and all gaskets and o-rings replaced. 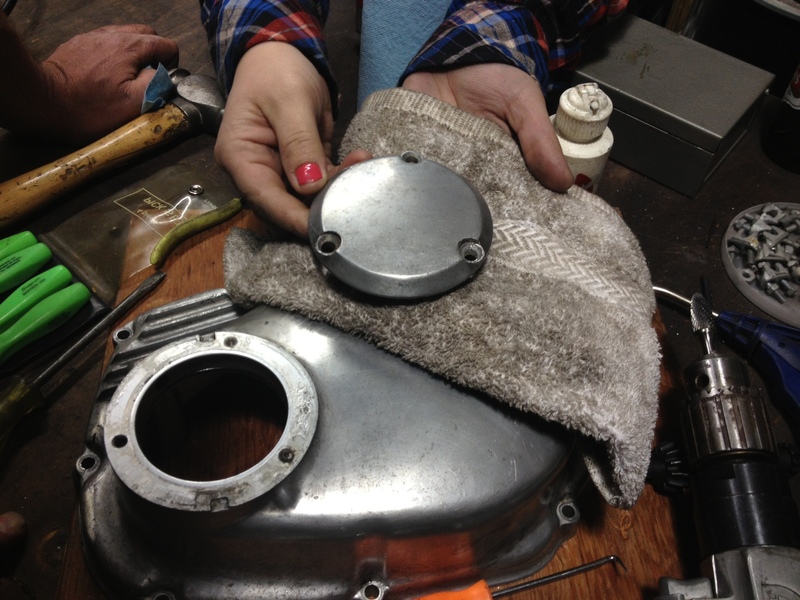 Engine covers were cleaned and prepped. Next week, we will install the primary gear. 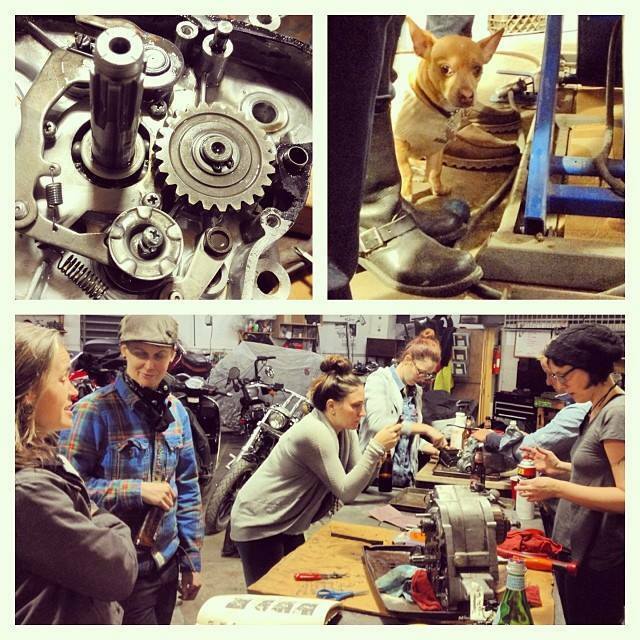 Reassemble and install the oil filter and pump, as well as the clutch basket. 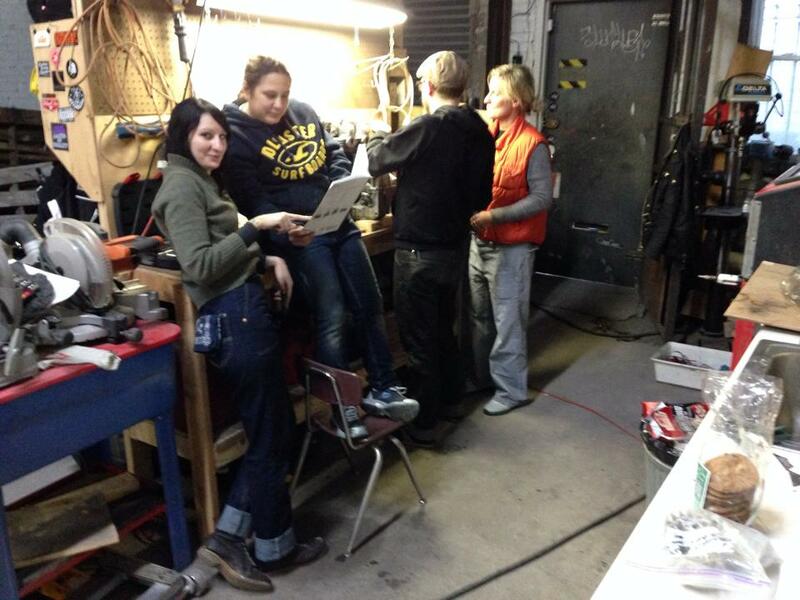 We’ll set up the ignition timing; points, gaps, and check/adjust timing. 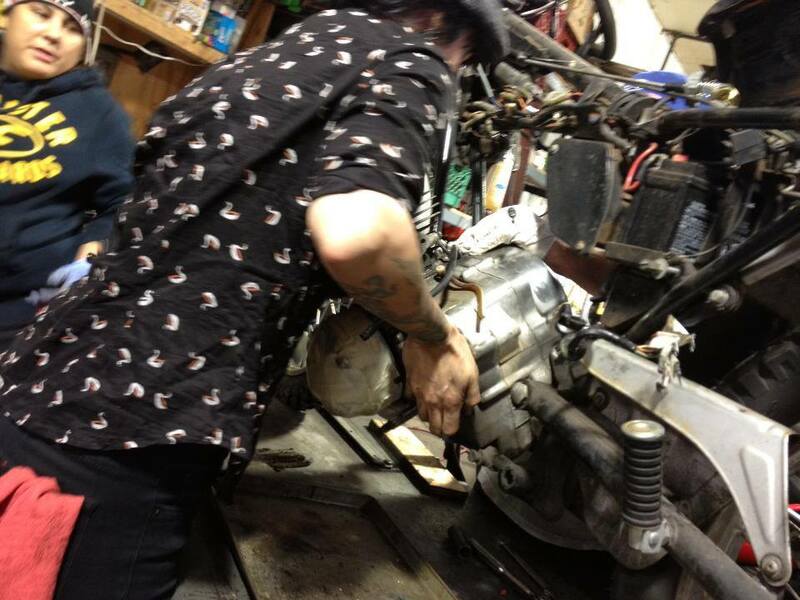 The alternator cover which has stripped screws will be drilled out. 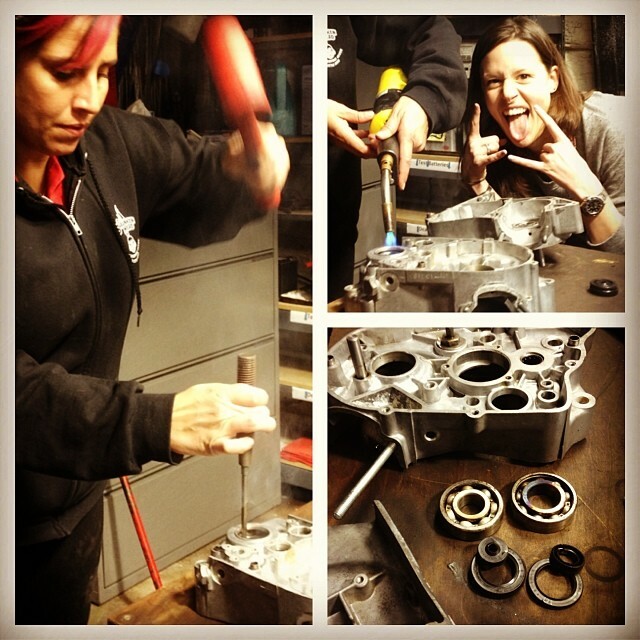 Stephanie and her engine block are coming together. Happy girl! 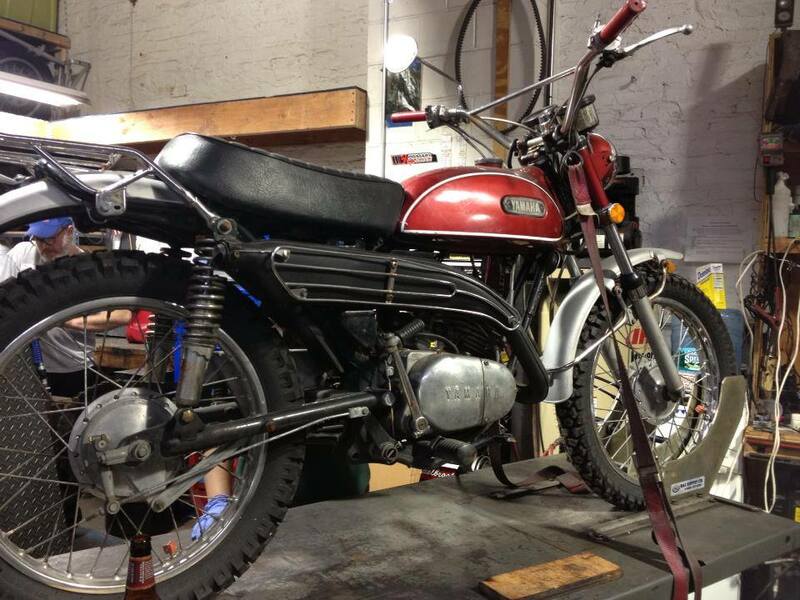 When it comes to vintage bike projects, it seems like you’re always waiting on something. 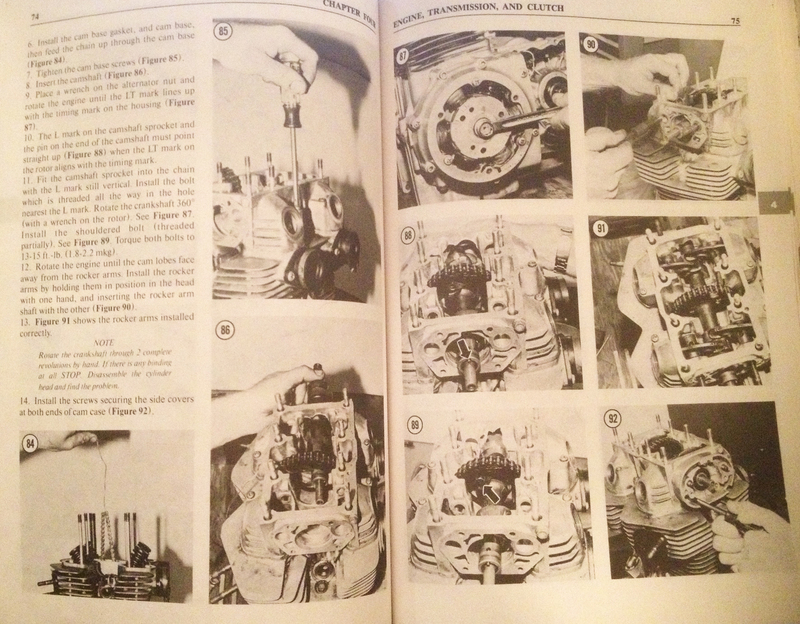 It’s not until the cases were cracked that we were able to determine what needed replacing for the complete rebuild of the little 1971 Yamaha At1 125 engine. overall, everything was pretty clean, but the decision was made to go replace the seals and bearings as the ball bearings felt gritty when rolled. 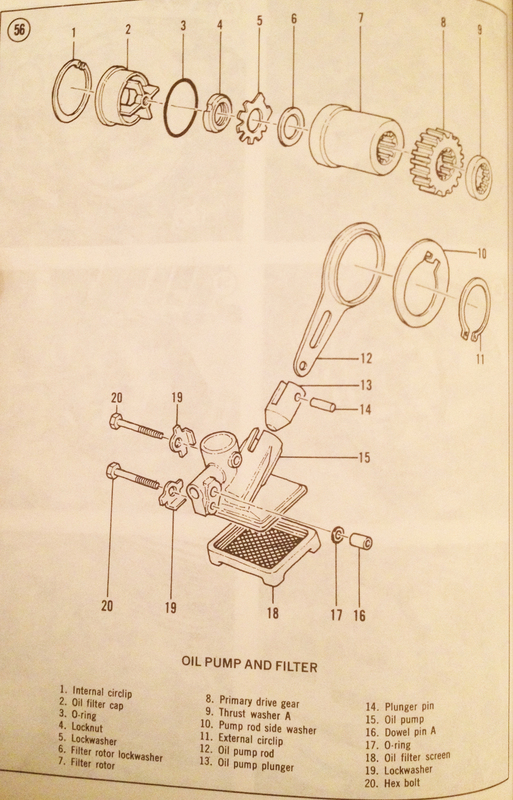 Parts were ordered from Cyclepartsnation which is a great resource for vintage bike parts and makes it easy with exploded diagrams of each section of the bike for part identification. 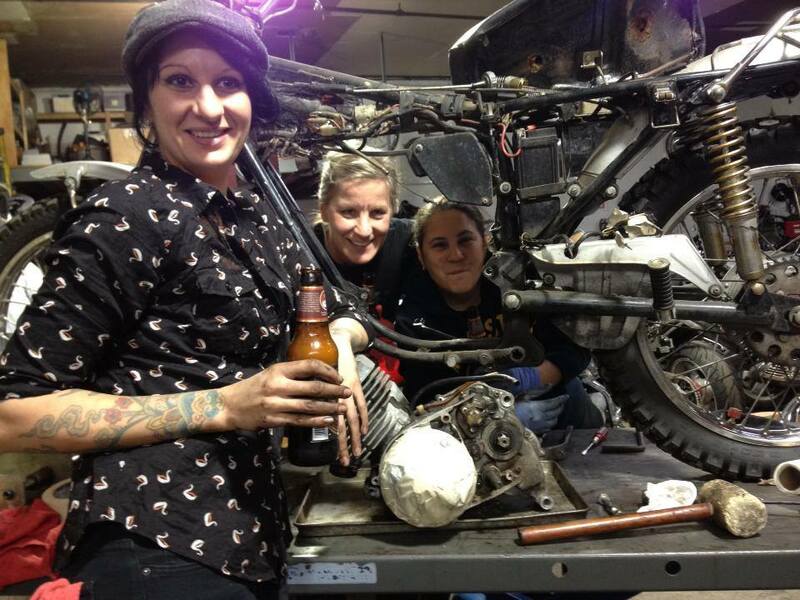 In the meantime, instead of twiddling our thumbs or b-lining it to the bar, we got to work polishing the covers and head, which was fine since Val always has a cooler of beer and the music cranked over at MotorGrrl garage on Monday nights. 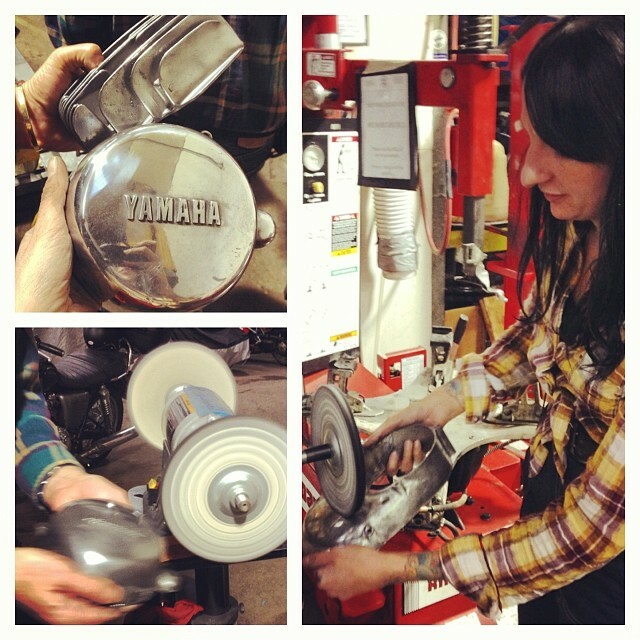 When using the polishing wheel, make sure to keep a good grip on the piece your working with, and use lots of polish on the wheel pad. 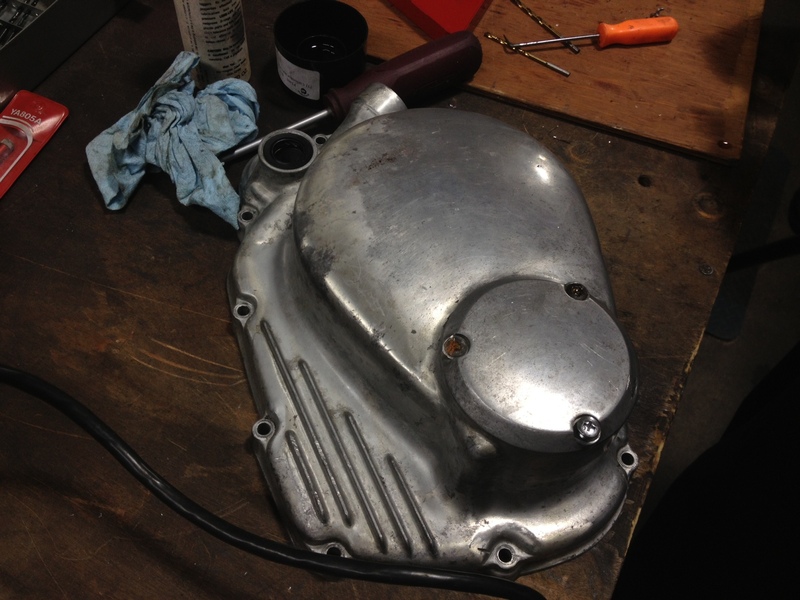 To preserve the finish after polishing, rub all pieces down well with WD40. 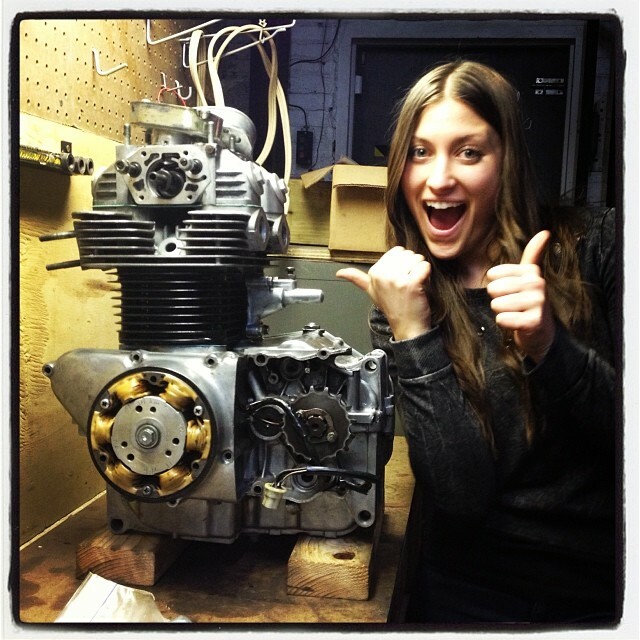 Stephanie’s 1973 Honda CB350 complete rebuild project. This bike came to her in boxes and is currently a roller. 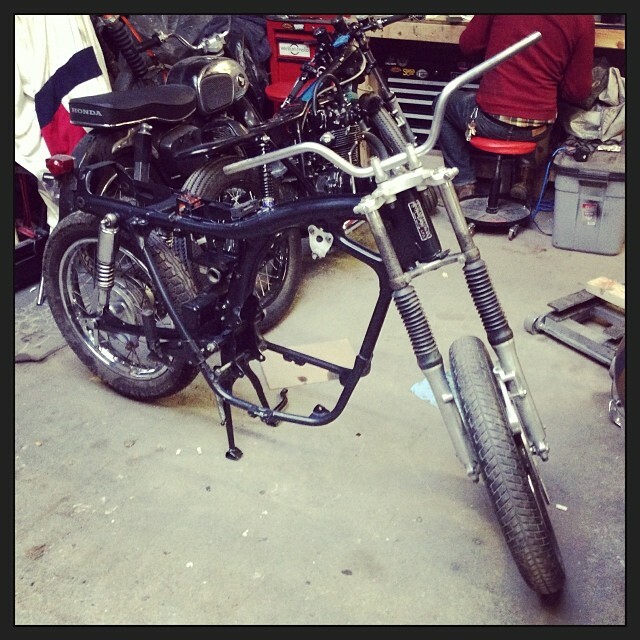 The goal is to have it finished by Spring! forming a plan. She left off with the engine mostly put back together. Today’s goal was top end, rocker boxes, Cam, etc. Then it’s off to wind down at our regular Sunday night happy hour at Black Bear Bar! 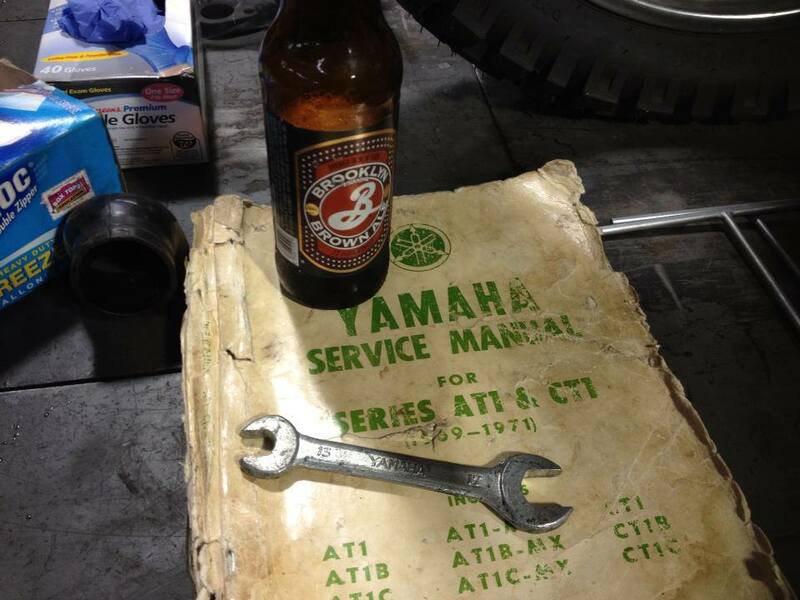 Corinna’s 1971 Yamaha At1 125 had filled itself full of a lovely mixture of fluids…today’s goal was to crack the cases and clean it out. 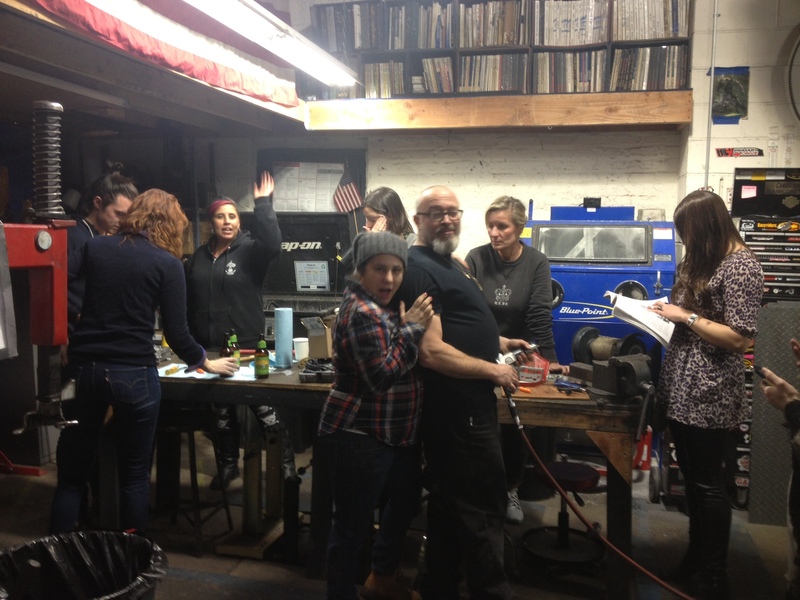 With the rotor threads completely stripped, Fumi (of Sixth Street Specials) improvised a bit to help us crack the cases open. 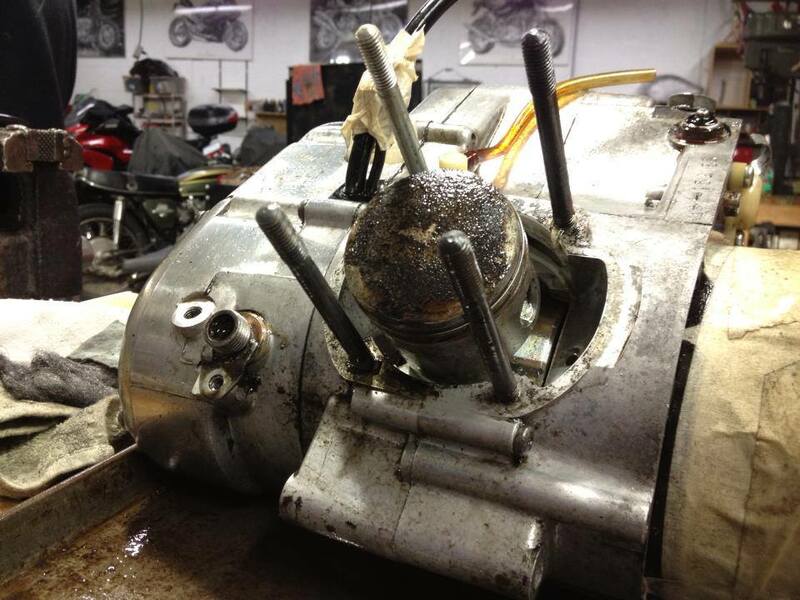 We’ll be adding a new rotor to the list in case it has to come off again. 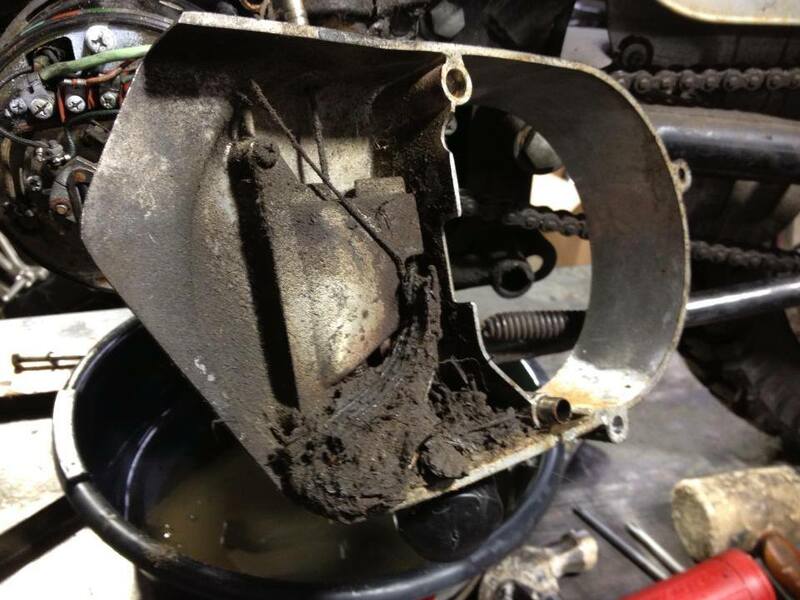 Corinna’s 1971 Yamaha At1 125 daily rider needed a bit of love to save it from becoming a planter. 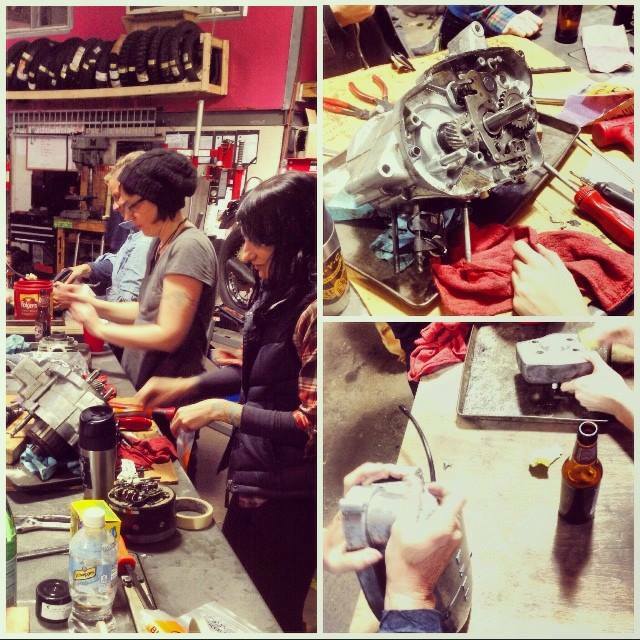 We headed over to MotorGrrl garage, got the beer on ice and got to work. this bike has seen some fun in it’s day. 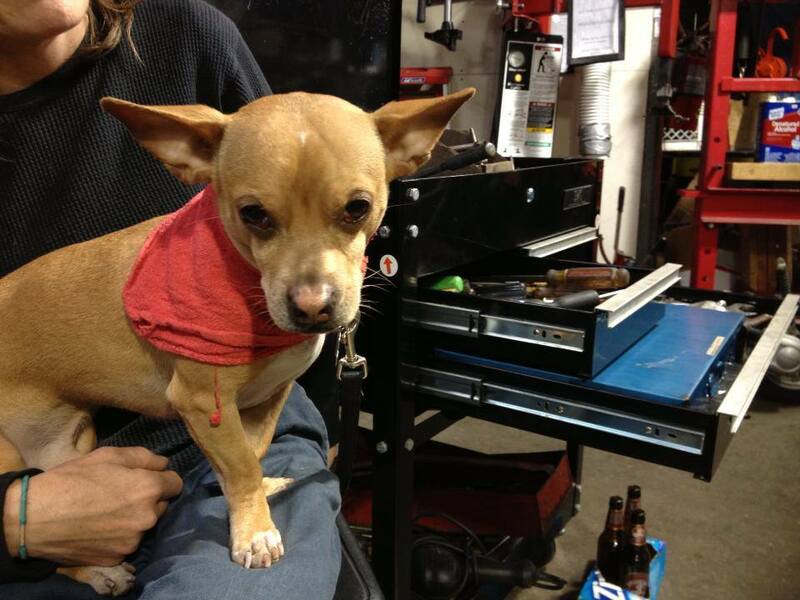 Shop Dog. Neville The Devil.